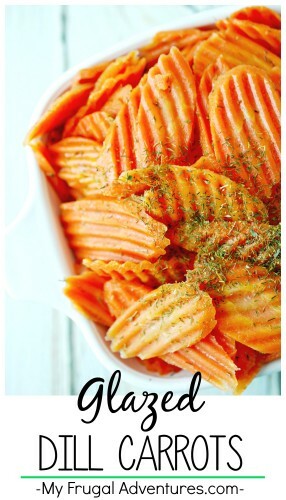 Here is a super easy side dish idea that would be perfect with Easter ham or save it for next year for Thanksgiving dinner. You might also consider this for just an easy side dish for a weeknight too because it is so fast and easy to get on the table. Start by slicing your carrots into coin shapes. You can buy presliced and washed carrots or slice them yourself or this also works with whole baby carrots. Add the butter to a saucepan over medium to low heat. Once that melts slightly, add the brown sugar and the carrots. 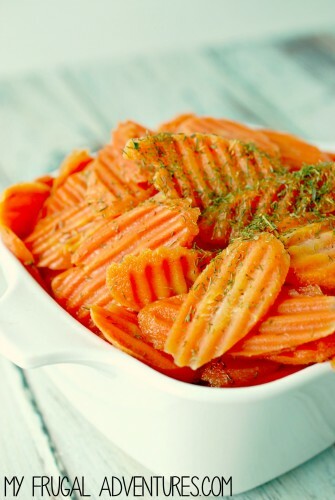 Cook the carrots until fork tender- about 15 minutes. 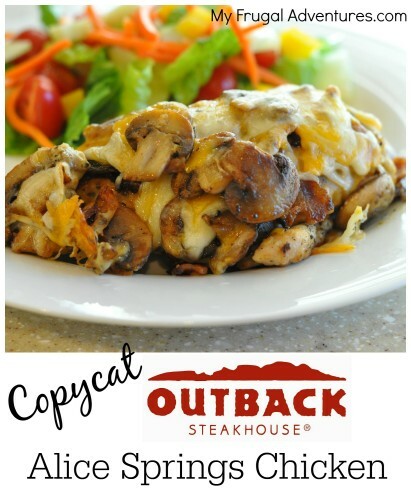 You may want to increase the heat to medium, stirring often so your butter does not burn. Once the carrots are tender, add dill and season with salt and pepper. 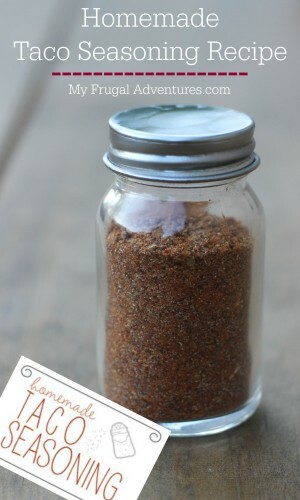 .This might be a fun recipe to try with the kids to see if they like it and it is especially good with glazed ham. The carrots will be on the sweet side so you might consider decreasing the brown sugar and increasing the dill for a fresher flavor. 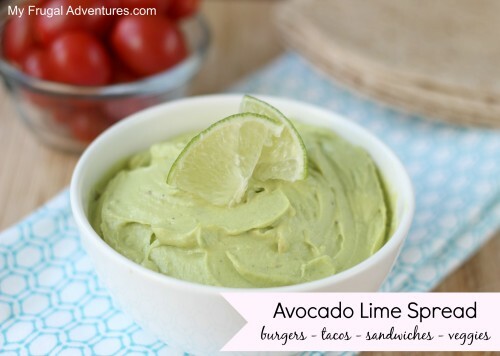 Avocado Lime Spread– wait until you try this on a burger! So good!